For the first time Russia is marking a day dedicated to all compatriots who took part in armed conflicts in foreign lands, as an official day of commemoration. Previously the date was unofficially marked by Afghan war veterans. 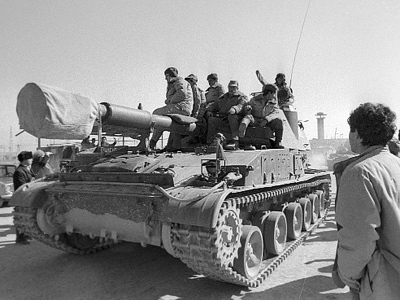 On February 15, 1989, Soviet troops completed their withdrawal from Afghanistan after a nine-year-long war. The date has been marked by some 300,000 veterans ever since. In 2010, the date was added to the list of official commemoration days, which includes the most pivotal events in Russian history. The remembrance incorporates all Russians who served with valor and loyalty in wars outside the Russian territory. Those include the conflicts in Korea, Vietnam, Syria, Egypt, Mozambique, Angola and other countries. According to the Defense Ministry, 1.5 million soldiers, officers and civilians from the Soviet Union and later Russia took part in more than 30 such hostilities of various scales. Those include violent ethnic clashes in former Soviet nations, from Yugoslavia to Transdniester. The latest foreign armed conflict in which Russians participated was the Georgian attack on South Ossetia in August 2008.